Property investors are fully aware of the profitability of subdividing properties, but, as with most speculative instruments, there are underlying consequences, one of which is, what eventually happens to the neighbourhood? Recently, I volunteered to do a bit of leaflet distribution in a couple of Adelaide’s south metro suburbs. 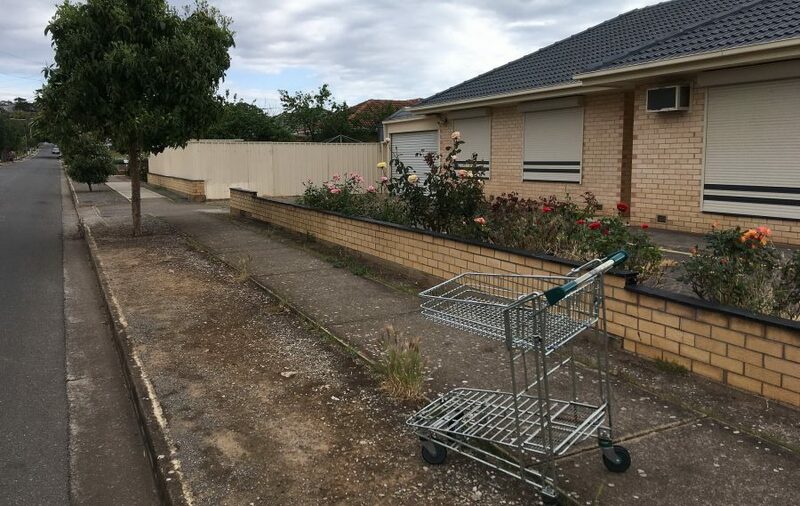 Having been to some of these neighbourhoods a few years ago looking for a house to live in and then recently walking the same neighbourhoods again, I’ve noticed a clear degradation of those neighbourhoods that have been heavily subdivided from those that have not. There’s no doubt that, in many (but not all) cases, subdivision brings greater returns to your investment. One of my wife’s friends bought a ‘sliver’ of a house for a grand total of $450k in Prospect, a northern suburb of Adelaide. It is one of three houses situated on an 800 square metre block of land subdivided into three narrow strips. The house is modern but incredibly narrow and with virtually no garden. The corridor through the house would have made a fine bowling alley! The owner bought the land at a knockdown price, and after the cost of the subdivision and the build of the new units, a $500k profit was made after sale; a tidy sum. Several years have elapsed and the individual price of the units has maintained its value; however, the suburb is still in high demand and in proximity to the city along with good public transportation. What Happens if Everyone Subdivides? As with most speculative instruments, profit is driven by the hope that someone will buy that asset off you at a higher price than what you bought it for. Stock market traders often use the term, ‘Buy the Rumour, Sell the News’. Property is generally a ‘safe bet’ provided that you invest in a location where demand will generally be high; for example, near a city with good transportation, ocean views, nice neighbourhoods, etc. An example of an ‘unsafe bet’ would be investing in a property in a booming mining town after prices have already gone up; the notion being that someone may be willing to take the risk of buying at that price. What I noticed in one of the suburbs I was walking through the other day was the huge increase in the number of subdivided properties from what I remembered it before. Many houses being built on the subdivisions are under construction but judging by some of the overgrown foliage and materials left out in the elements, many of these appear to be in a state of abandon. I know of a few of these in my own neighbourhood where funds have run out during construction. Many recently-built new houses on subdivided land, have ‘For Sale’ signs seemingly in competition with each other to attract the first buyer. 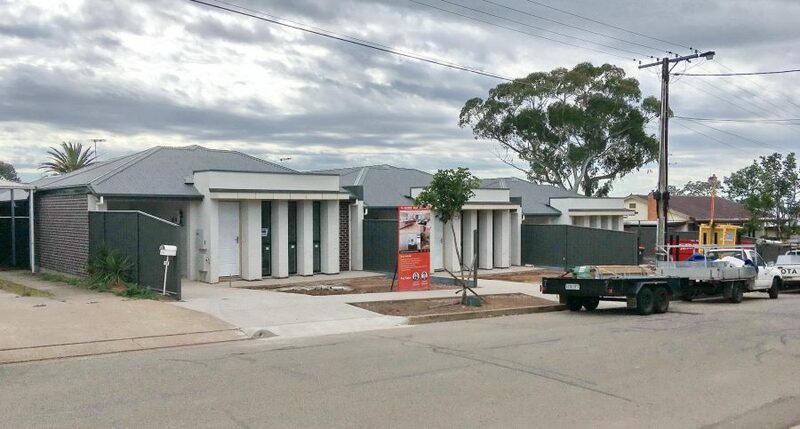 The suburb itself, is not particularly close to the city and not particularly high in demand, although it is reasonably close to South Australia’s largest shopping mall. There is, perhaps, one particularly attractive enclave in the suburb (photo below), of which subdivision is not allowed, but other than that, it is not particularly special. In this suburb, the first, and perhaps, second wave of investors who subdivided and sold, no doubt, had good returns on their investments. The trouble normally begins when the third, fourth, fifth and sixth wave of investors do exactly the same thing believing that, if it’s been done successfully before, it can happen again. Look carefully at those ‘Land for Sale’ signs. 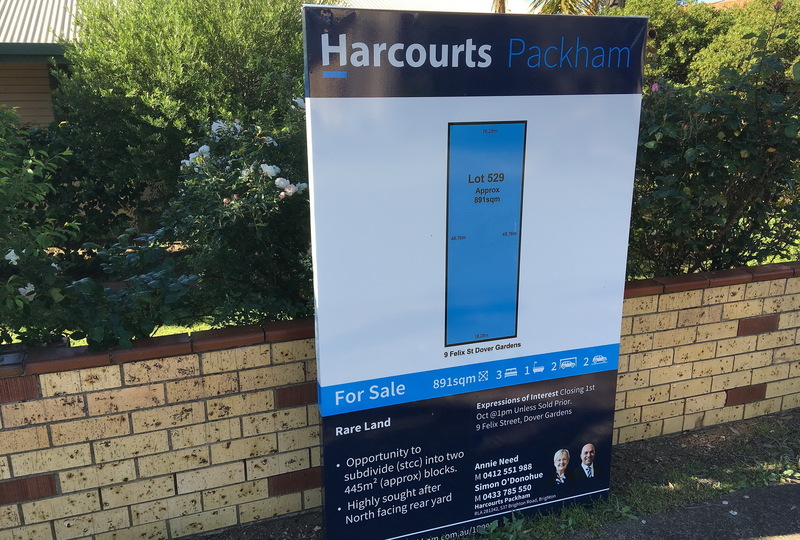 The tell-tale signs of market saturation are all too evident when, firstly, those signs boast that there are marvellous opportunities for subdivision and, secondly, when there are significant increases in the asking price for that land based on future speculative value a subdivision could bring. Not everyone wins. But Nobody Wants a Garden Anymore! How many times have I heard that the next generation of house buyers don’t want gardens? We’ve all seen those little statements in real estate brochures: “Maintenance-Free”, “No watering and weeding”, “Maximum living space”, and so on. Sure enough, in areas of very high demand particularly within urban centres, the value of the land is simply too high. Unless the property is heritage-listed or if the owner simply wants to have a spacious garden in the middle of the city, it is rare for someone to own a property with a proper garden in such a location. However, once you start creating new estates in newly-released pockets of land far away from any urban centre where land parcel sizes are so small that houses virtually touch each other with as much as 80 percent of the land occupied by the structure of the house, there is really no provision at all for gardens, except for a small paved area in the back of the house where one can entertain in front of the barbecue. These homes, in my opinion, must be miserable places to live in if you don’t like being hemmed in on all sides. Some newly-developed estates simply go bankrupt because they got too greedy by packing houses like sardines with fewer open spaces creating a living environment in which no one wants to live in. I know of many younger people who value their gardens, particularly those with children and those who like to grow their own vegetables and fruit. It is going to be increasingly difficult to find properties with smaller houses and larger gardens leading me to believe that property prices in neighbourhoods where subdivision is not permitted will only increase in the long run. But for now, subdivision is the hype. Another factor of gardens and greenery is that it provides benefit in the way of heat and water absorption. In times of heavy rainfall, storm water accumulates on pavements, roads and other near-impenetrable surfaces causing disruption and sometimes, severe flooding. In hot weather, urban spaces with little greenery is significantly hotter than areas with lots of greenery. Singapore is particularly well-designed with greenery in mind. One thing which is immediately apparent in heavily subdivided neighbourhoods is the change in demographics from what it once was prior to being subdivided. 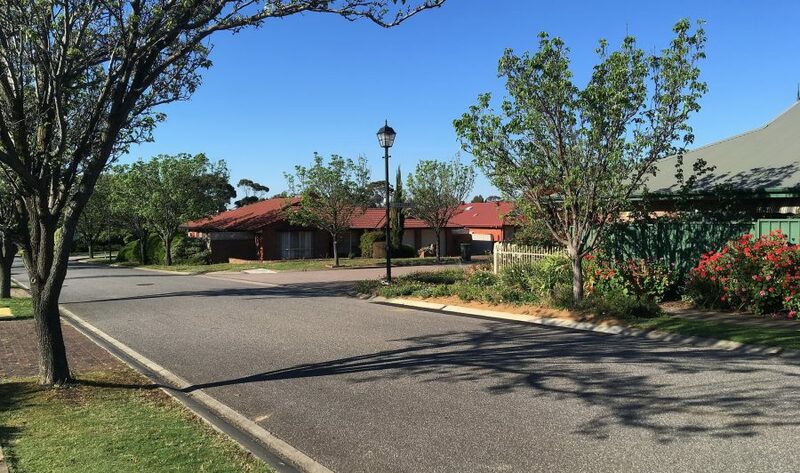 Apart from suburbs in areas of very high demand such as CBDs, popular seaside locations and other exclusive enclaves, suburbs which have allowed extensive subdivisions often begin to show signs of depreciation and neglect. Walking along the suburb as mentioned above, an area once lined with trees dotted with average-sized houses on large plots of land has transformed into a soulless avenue of subdivided units, many looking very much alike. The older subdivided properties looked unloved with many of their front gardens overgrown with weeds or, worse, just bare ground. I walked past a couple who looked like they were doped up on weed or some other substance. I walked past abandoned shopping carts parked in front of a row of units. I suspect that many of these units are now rental properties with tenants who, understandably so, don’t look after the property in the same way as an owner would. Established residents of the neighbourhood could only watch helplessly as their neighbourhood loses its character and charm it once was. Once a neighbourhood becomes heavily subdivided, the amount of traffic, number of dustbins, number of parked cars and number of people significantly increases along with vandalism, burglaries and other crimes including the occasional street fight or assault on the street. This sometimes forces the local councils to add more street lighting adding to light pollution. 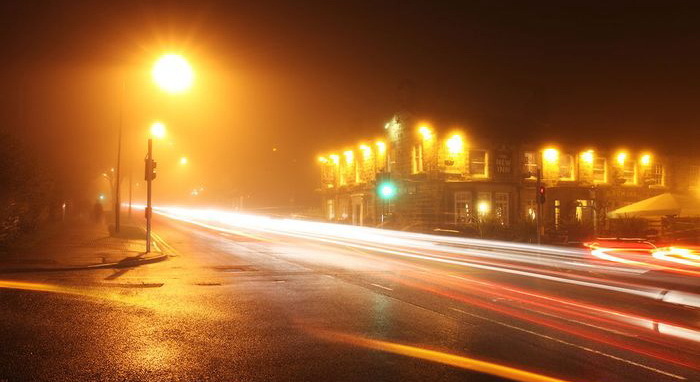 One of the biggest scourges of British cities is the extreme light pollution emitted by low-pressure sodium street lights; those horrible bright yellow lights (pictured below). This problem is further exacerbated by new estates where planners have provisioned for roads far narrower than those in older suburbs to accommodate for yet more dwellings. Does Council Benefit from Subdivision? From the Council’s perspective, subdivision is a double-edged sword. Council is intrinsically aware of the issues of subdivision as noted above: degradation of neighbourhoods, increase in crime, lowering of property values, traffic and clutter, unkempt properties and so on. However, Council does benefit enormously by an increase in rates and services due to the added number of residences. As with most politics, much of what is stated in manifestos by those currently in power is often short-lived in practice as new manifestos are generated by the next set in power. Some Councils adopt a non-subdivision policy in certain areas in their constituency to maintain and preserve its heritage and character. It is in these areas that properties will become more and more highly sought after in the future as a place to live and enjoy. Some neighbourhoods that have gone through an extensive subdivision phase have been successful with maintaining the appearance and upkeep throughout the years. However; in order for this to succeed, the neighbourhood would need to be in an area very highly sought after with good amenities including nearby shops, open playgrounds and public transportation. Sadly, many heavily subdivided neighbourhoods age poorly and quickly show signs of rot and neglect once demand drops and the percentage of rental properties to owned homes increases to significant levels. I want you, the reader, to visualise something. Look down the street of a neighbourhood that can never be subdivided and then look down the street of a neighbourhood that has been already heavily subdivided. Now picture, in your mind, those two streets 20 years from now. Or even 10. How do you think they will look? Which one would you prefer to live in?